Immigration reform in 2014 has been issued. There are several items to Parole that are different, expanded and easier to get than in the past. 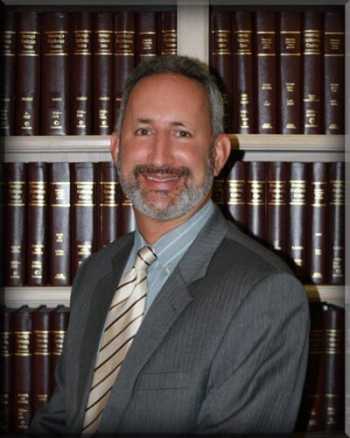 Brian D. Lerner, immigration attorney explains that under immigration reform in 2014, first you would need to understand what exactly is ‘parole’ in order to have an appreciation of the differences. At least three separate DHS memos address various aspects of “parole.” In the immigration context, parole refers to allowing an individual to temporarily enter the United States for purposes of significant public benefit or for humanitarian reasons without technically admitting the person into the country. Although parole is issued on a case-by-case basis, there is a long history of designated categories of individuals who may qualify for parole. “Advance parole” and “parole-in-place” are forms of parole. Advance parole refers to giving an individual currently residing in the United States in a temporary status permission to travel abroad for a short period and return to the United States without jeopardizing the existing status. Parole in-place is parole in which an individual who is already in the United States, but who is here without permission, is nonetheless granted parole without having to leave the country. Individuals granted parole—including advance parole and parole-in-place—may ultimately be able to gain lawful permanent status without leaving the United States, if they are otherwise eligible. Brian D. Lerner states there are issues with this. For example, if somebody who might qualify under the immigration laws to adjust status in the U.S. – except for not being able to show legal entry, they might be able to use the parole. For example, they could qualify for DACA or DAPA under the immigration reform 2014, and because of that, they could apply for Advance Parole, leave the U.S. and then enter again legally. This legal entry would really be an admission to the U.S. states Brian Lerner. Because of that, the person could then adjust status in the U.S. assuming they have no other grounds of inadmissibility. Here there is a specific change to immigration policy per the immigration reform 2014. Under direction from the Secretary of Homeland Security, DHS officials will be instructed to follow a 2012 immigration decision (Matter of Arrabally), finding that a lawfully present individual who travels abroad after a grant of advance parole does not trigger the three- or 10-year bars that ordinarily apply when a person departs the United States after residing here unlawfully for more than six months. Under this decision, individuals who would be eligible for LPR status but for the fact that their last entry into the United States was unlawful may be able to apply for permanent resident status upon their parole back into the United States. The new DHS instruction will ensure consistent application across the department. Assuming that this is actually followed, there will be consistency and a person leaving the U.S. under the immigration reform 2014, will be able to re-enter the U.S. without fear that they have just invoked the 3/10 year bar waiver. Brian Lerner states that prior to the immigration reform 2014, the adjudications of people re-entering the U.S. with the advance parole was inconsistent and different depending which officer you happened to get. Hopefully, this will end and there will be consistent adjudications. Parole in Place adjudications has been expanded to include LPR relatives in the military as well as persons who intend to enter the military (not just personas already in the military.) Also, the Secretary of the Department of Homeland Security has stated that he would like USCIS to grant deferred action to persons who overstayed their visas and who have a relative who is a veteran. Thus, the immigration reform 2014 in fact has good news on the horizon for parole and should be used once the regulations are issued. individuals who may qualify for parole.